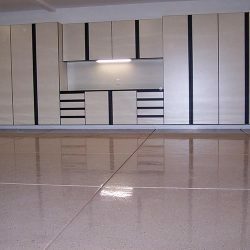 Advanced Garage manufacture an extraordinary line of garage cabinetry using the latest technology to ensure that every garage cabinet that we build will stand up to the demands required of garage storage. Every job is unique to each family’s needs in Sacramento. 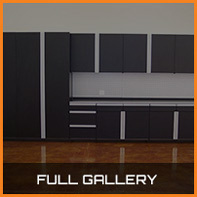 While we do have standard sizes, we will custom size and configure any cabinet at no extra charge. You get the garage system that you want and works best for your storage needs. 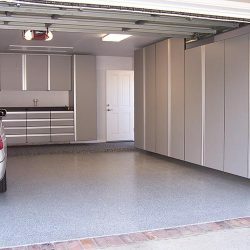 Your custom garage design includes a variety of color options to choose from, so the end result is an aesthetically appealing space that offers functionality and added value to your home. 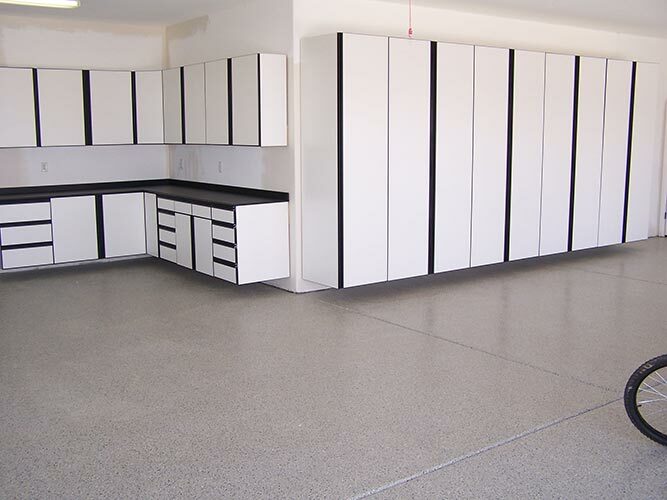 Advanced Garage has been Sacramento’s choice for garage cabinets, commercial cabinetry, closets, slatwalls, overhead racks, garage floor coatings, and more. 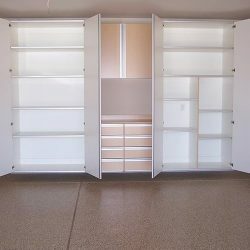 We also serve the areas of Folsom, El Dorado Hills, Citrus Heights, and Rancho Cordova with our garage storage systems. With our customizable systems you can create ANY type of space and make it efficient, comfortable, and streamlined. The applications are endless! 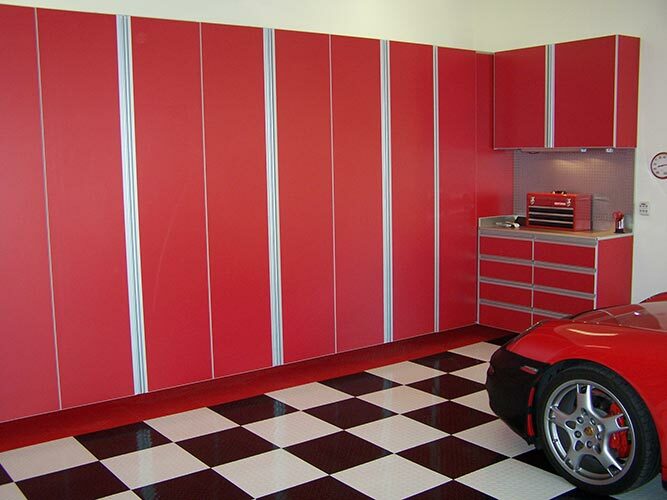 Let Advanced Garage help you maximize storage areas, make room for the cars, or even create a workshop or a game room! 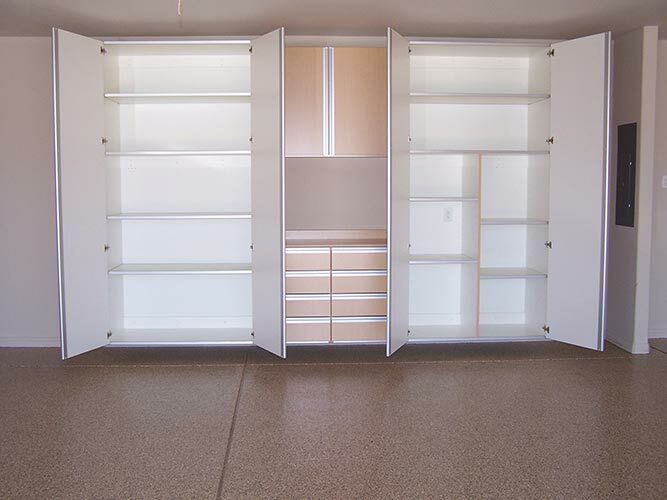 Advanced Garage offers complete integration of cabinetry, flooring, and storage accessories. We offer state-of-the-art 3D design services to our clients in the Sacramento area and beyond, so you can see what your garage or closet will look like before we even get started! With our customizable systems you can make any space efficient, comfortable, and streamline. Closets come in many shapes and sizes. Our goal is to make your closet easy to use and pleasing to the eye. As a manufacturer, we are able to create a system that utilizes all of your closet space efficiently. 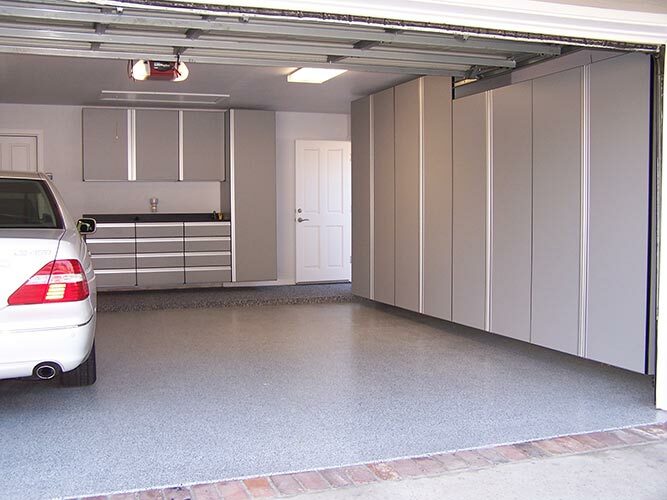 HandiWall® is the cellular PVC slatwall designed for storage and organization of your garage. Used as a complete wall or as a complement to your existing garage storage, HandiWall® allows a flexible layout that easily adapts to your storage needs. 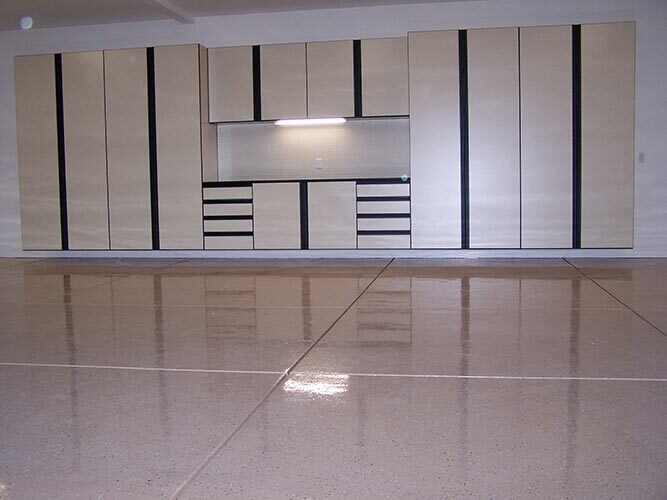 Nothing finishes off a garage quite like a floor coating. Choose from several base color and chip color options. 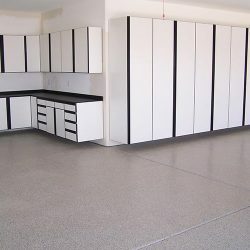 You can rest assured Advanced Garage’s flooring products are the best in the industry are applied by experienced technicians and will provide you with years of lasting beauty.